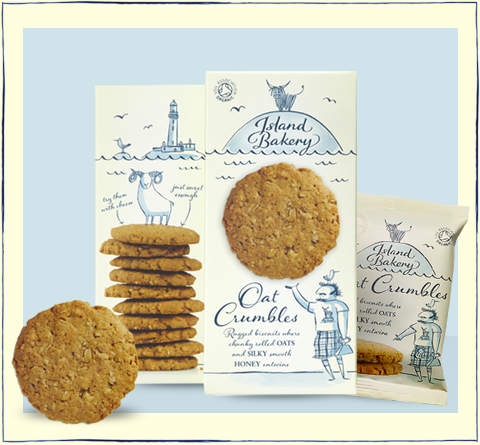 Our Oat Crumbles are the most versatile variety in the range. They are less sweet than some, yet sweet enough to satisfy a tea-time craving, and substantial enough with their jumbo oats, to keep you going for a while after. The more adventurous have found that they also go rather well with cheese, especially Isle of Mull Cheese, of course!